I teach group and one to one yoga classes at various locations in Swansea, Carmarthenshire and Pembrokeshire and am registered with the Independent Yoga Network as a yoga elder. This is a title given to yoga teachers who have over ten years and 5,000 hours teaching experience, so you are guaranteed high quality teaching at my classes. My teaching style emphasises mindfulness and somatic awareness to help release habitual tension in the body/mind and our emphasis is on meditative awareness rather than on achieving certain postures. All my sessions, including kirtan, meditation and hatha yoga, are suitable for all ages and abilities, from beginners to experienced practitioners, and all practices can be modified to suit individual needs. ​I'm fascinated by the healing capacity of yoga, including the movement and breathing practices of hatha yoga and sound and mantra practices of bhakti and mantra yoga. I encourage people to develop an intuitive approach to movement and voice work and advocate the integration of mindfulness into daily life. 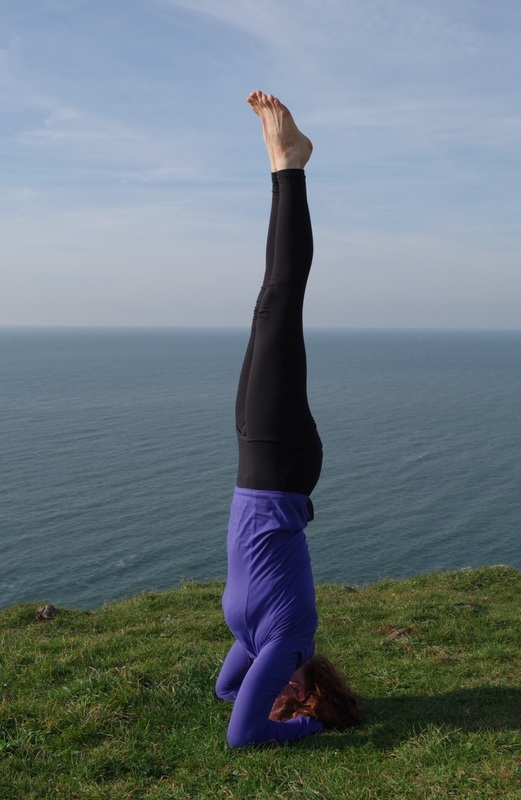 I run workshops and retreats across South and West Wales where you can explore yoga and mindfulness in greater depth and improve your ability to calmly negotiate life's ups and downs. Check out my latest blog article on yoga and life transitions. Since 2007, I've taught varied group yoga classes, private one to one sessions and classes for specialist groups, including mental health and drug and alcohol service users, female asylum seekers and premiership football players. My teaching experience, along with recent training in trauma-sensitive yoga, has helped me develop a trauma-informed approach. Use the contact page to get in touch with me or call on 07917 724983. ​I've been practicing yoga and meditation since 2002 and began teaching in early 2007. I qualified as a teacher with the British Wheel of Yoga, completing the 500 hour Teaching Diploma over a 3 year period. I relocated from Liverpool to Wales in 2012, living in Gower, south Wales for 5 years, before relocating to Whitland in Carmarthenshire, west Wales in December 2017. ​My approach is influenced by the mindfulness teachings of Thich Nhat Hanh and the yoga of Vanda Scaravelli, via my teachers Christine Borg, Diane Long and Peter Blackaby. If you're interested, here are details of my training and continuing professional development. "I cannot recommend Lou highly enough to work with Professional athletes. She has worked with large groups, small groups and individually with all level of players and the feedback has been excellent throughout. She has handled large and challenging groups very well and has enforced discipline in the groups in a gentle way. We have tried several yoga teachers before her and many of them were not able to command the group as Lou can. She has also been very flexible and importantly very reliable. "